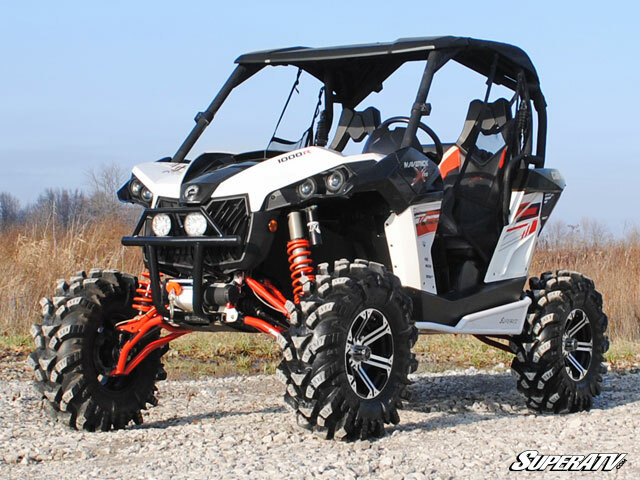 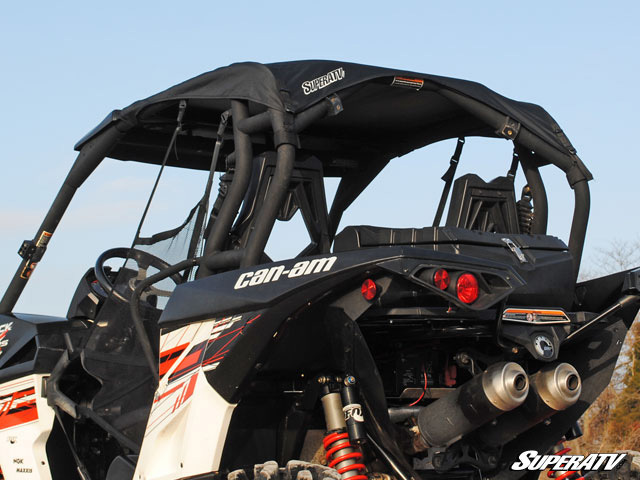 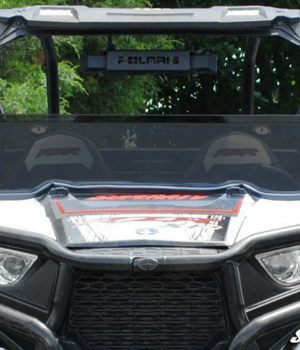 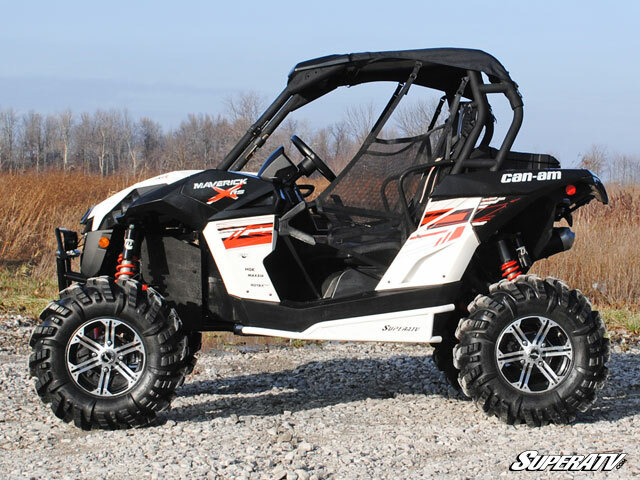 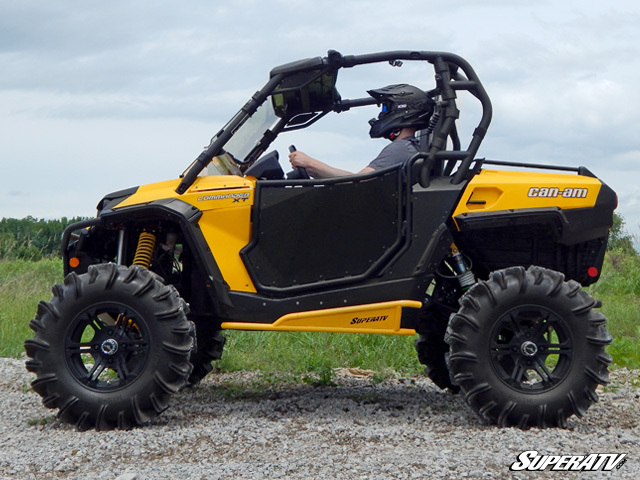 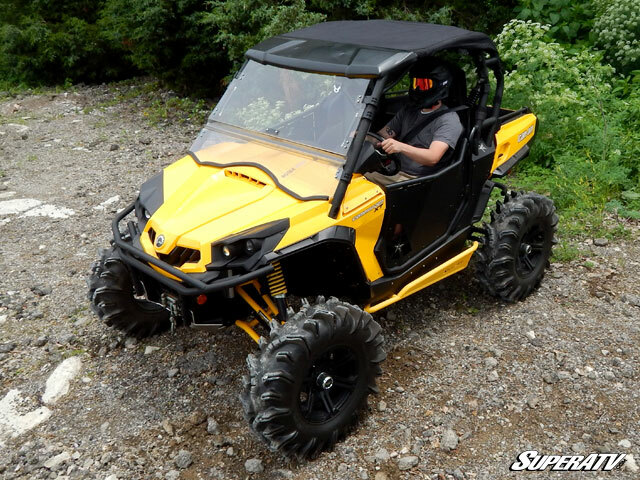 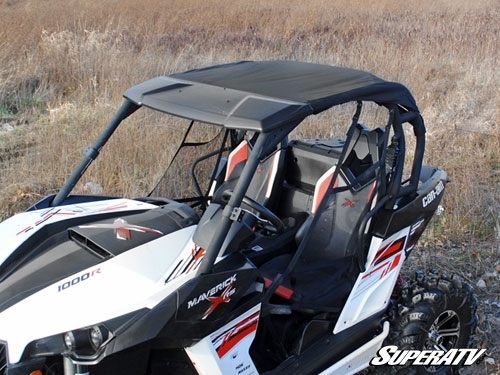 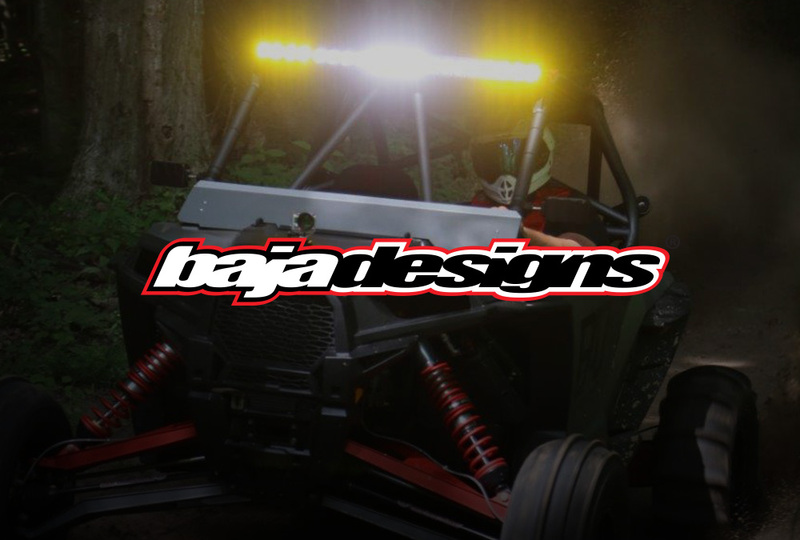 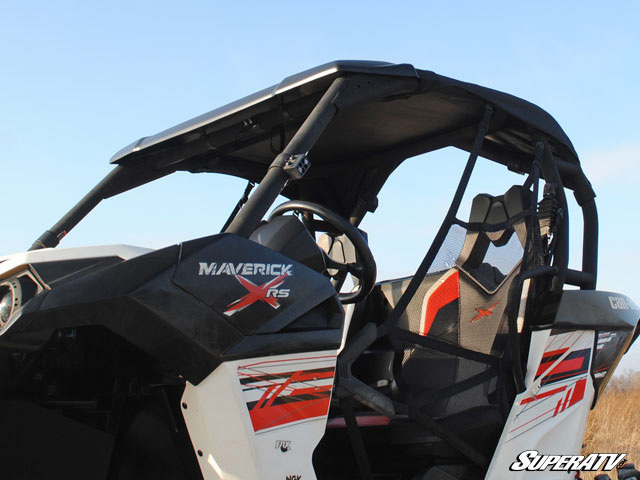 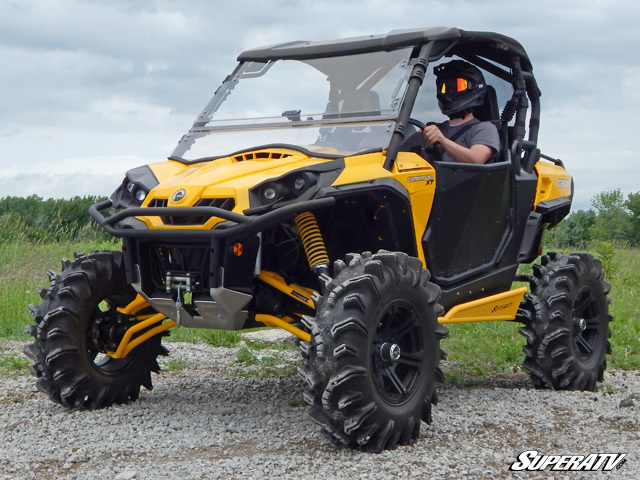 SuperATV Can-Am Commander / Maverick Soft Top » Bad Motorsports Inc.
Keep you and your passengers protected from the elements when you’re blazing the trails with this SuperATV Can-Am convertible soft top. 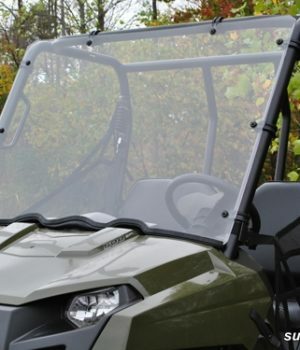 This unique design has a heavy duty, stationary plastic front and weather resistant canvas top that easily opens and closes to match both the weather and your riding style. 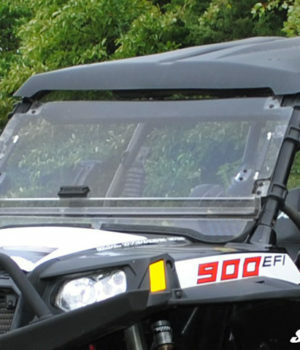 The canvas fabric is heavyweight and water repellant to resist mildew and UV rays for a long life. 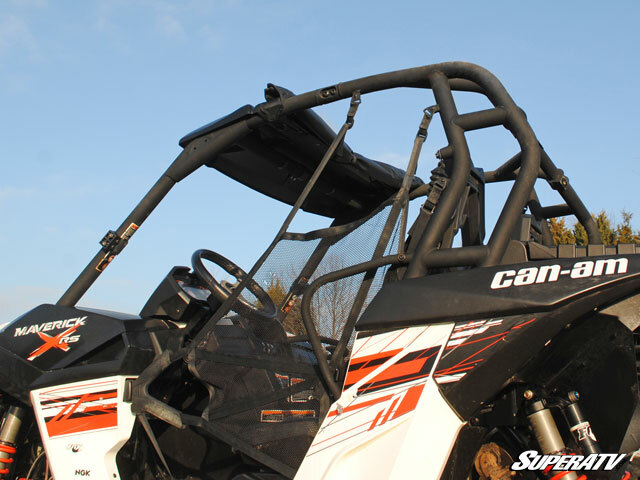 The snug fit will prevent ballooning while you’re hitting top speeds and the look and style adds flare to your Can-Am. 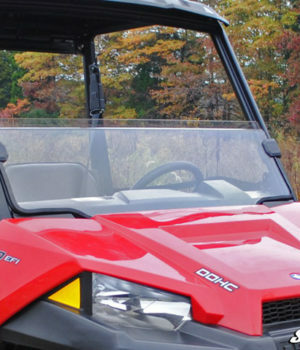 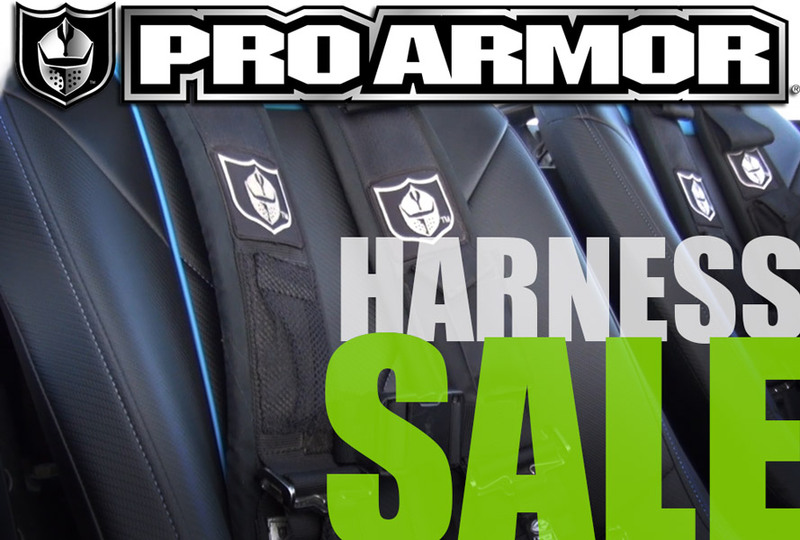 Each top comes with easy to follow instructions and all necessary mounting hardware to make installation a breeze.